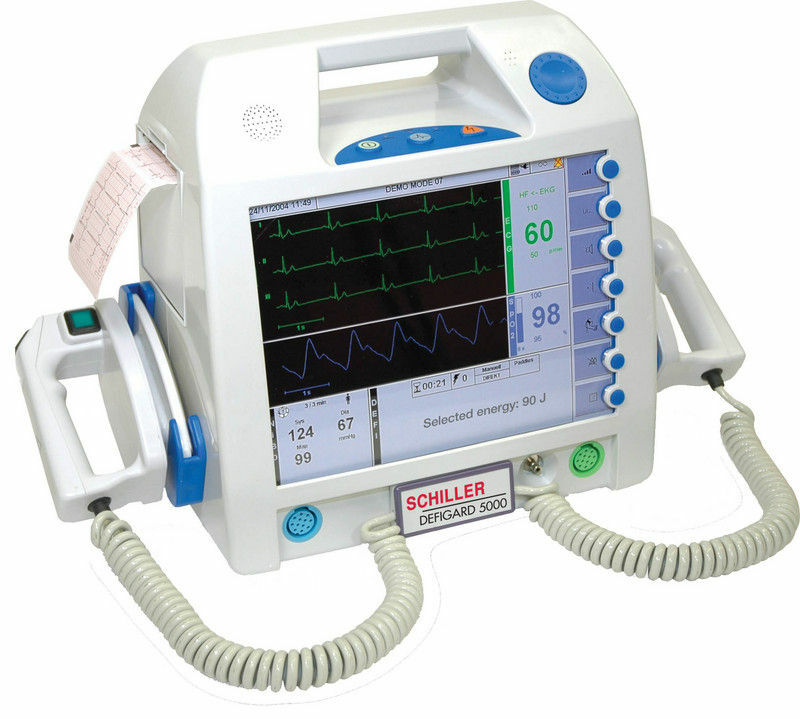 Schiller Defigard 5000 with pads, combines the efficacy of a pulsed biphasic defibrillator (Multipulse Biowave) with precision monitoring on the largest colour screen available on the world market. The big screen size (10.4") of the DEFIGARD 5000 allows the simultaneous display of up to 12 ECG leads. The navigation button and direct softkeys give you a quick access to all parameters and menus and make the device extremely user-friendly and easy to use. Click the button below to add the Schiller Defigard 5000 Defibrillator with Pads to your wish list.